Double Negative follows the path that Robert Schwarz has pursued with The Scale of Things. Field recordings render the core and compositional starting points around which modular synthesizers are built to complex structures that resemble nature’s contingency as their inner logic. Nature and electronics merge to compositions that reveal uncanniness and strangeness in the heart of the world as well as in ourselves. However, where The Scale of Things provoked existential threats and feelings of being exposed to an inhuman, though not hostile world, Double Negative tames the darkness and perilousness of its predecessor. De Oostenrijker Robert Schwarz heeft, naast heel wat ander werk, een aantal jaren geleden het album The Scale of Things bij Gruenrekorder uitgebracht. Het album ging uit van natuuropnamen, die Schwarz mengde met (modulaire) synthesizerklanken, zonder herkenbaarheid of structuur na te streven. Op Double Negative dat het onvolprezen Gruenrekorder nu uitbrengt, zet Schwarz zijn werkwijze voort, al is dit album iets abstracter te noemen. Field recordings, gemaakt op locaties als Wonder Valley, Yangshuo, Fiskars, Palawan en Sandouping, zijn soms duidelijk herkenbaar (wind, water, vogels). Net zoals de synthesizerklanken regelmatig duidelijk zijn aan te wijzen. Maar met grote regelmaat kan er verwarring optreden: ‘gevonden’ geluiden en elektronisch gecreëerde geluiden komen dicht bij elkaar. Zijn dat nu opnamen van vleermuizen of fluitende synthesizerklanken? Je moet het je ook niet afvragen; Schwarz zet volgens mij de field recordings in om hun intrinsieke klankkwaliteiten. Dat levert soms momenten op dat je niet weet of je luistert naar gevonden, gecreëerde of gevonden-en-bewerkte opnamen; op andere momenten vloeien field recordings en elektronische klanken perfect samen. Op beide momenten vormen veld- en studio-opnamen een organisch geheel; dat zijn hoogtepunten in de zeven zorgvuldig in elkaar gestoken composities. Hier ligt vakwerk van Schwarz, dat lang kan blijven boeien. Poprzedni album austriackiego kompozytora Roberta Schwarza opisywany przeze mnie na Nowej Muzyce nosi tytuł „The Scale Of Things” (2015 r.). Tegoroczny „Double Negative” jest swoistym przedłużeniem koncepcji i myśli zawartych na „The Scale Of Things”, ale tylko do pewnego stopnia. Generalnie Schwarz tworzy swoje konstrukcje dźwiękowe w oparciu o field recording, który następnie modyfikuje przy pomocy syntezatora modularnego. Słuchając najnowszej płyty artysty (z czarnego krążka), mocno się zastanawiałem nad poziomem natężenia abstrakcji. Wyszło mi po równo w stosunku do obu wydawnictw. Rolę kontrapunktu do tzw. dronowych rzeźb dźwiękowych, jakie Austriak skomponował na „Double Negative”, przybrały ponownie nagrania terenowe, choć tym razem z USA, Chin czy Filipin (głównie są to odgłosy ptaków, wiatru i szumu morza/oceanu). Łączenie tych wszystkich kontrastów najbardziej ujęło mnie w „WVW”, „YSX”, „PLW”, „PLP” i „TGR”. Ten czwarty fragment to istna fantasmagoria, która zwiała z dżungli i postanowiła podryfować po orbitach Wszechświata, zaś w „TGR” łapie nas dźwiękowe monstrum w postaci szumu fal podsycanych podmuchami wiatru. Niezwykłych wrażeń dostarcza także „YSX” – przedziwne odgłosy wydobywające się niczym spod maski Predatora (przepraszam za banalne skojarzenie) przywodzą na myśl nocny „spacer” po nieistniejącej dżungli. Tylko pytanie: w jakiej czasoprzestrzeni? Stefan Militzer pisząc o „Double Negative” ujął to tak: „ten album pomaga oswoić uczucia ciemności i niebezpieczeństwa z „The Scale Of Things”. Zatem spróbujcie sami oswoić się z całością i uformujcie z myśli własny splot obrazów nie z tego świata. Fascynujący materiał! Robert Schwarz‘ previous effort on Gruenrekorder, The Scale of Things, was a superlative amalgam of dense musique concrete, treated field recordings and modular synthesizer that conjured worlds of amplified natural processes and disquieting soundscapes. The beauty of that record was how it showcased a variety of techniques in such a way to produce a unified, highly composed, not-to-mention dramatic vision of avant-garde electronic composition. Like its predecessor, Double Negative features a cover that hints at what lies within the grooves of the record. The strange almost claustrophobic collage which adorned The Scale of Things gives way here to a seascape, on the horizon of which drifts the unmistakable geometric form of an iceberg, or could be a shark fin or even the prow of a sinking ship? The picture is almost abstract in its composition and finds kin among the similarly abstract and musically dissociated music on the record. The move towards a more formalistic style is also signalled by the track titles, which here are nothing but a series of three letter acronyms, for what, who knows. WVW opens the A side with field recordings of birds, dissonant modular synth glitches and bass hums. There’s a sound that could be the cord of a flag tapping against its metal pole. This draws in the ear, lending the studio effects greater weight. There’s a good deal of classic musique concrete techniques on show here and many of those strange acousmatic tricks familiar to listeners of Parmegiani and Pierre Henry are deployed by Schwarz to dislocate the listener from any obvious frame of reference. YSX is a creaking well of submerged percussion, sub-bass and incidental clicks and swooshes. As on his previous record the composer seems to delight in layering uncanny studio processed sounds against wispy atmospheres; at once evoking a sense of environment (water, forest, street) and then throwing the piece into confusion with some closely recorded melting ice or crunching rocks. The final piece leaves us at the more austere station from which the record began. Metallic drones and synthesizer tones take us far from the haunted mutant spaces of the previous two tracks. Rolling drones and bass surge up over the extended percussion before the tinkle of water signals that we are out to sea, among the waves. Perhaps we’ve been abandoned on top of the iceberg which adorns the front cover. It’s a bleak end to a dark, disorientating record. If The Scale of Things was Schwarz‘ fever dream of a nightmare jungle expedition, then Double Negative soundtracks the PTSD that follows. Despite frequent nods to the fathers of musique concrete this is still a record light years away from their occasional dry academism. Schwarz‘ soundworld is a great deal more dank and haunted than that, and it’s all the better for it. Robert Schwarz’s Double Negative is as enigmatic a recording as his previous Gruenrekorder outing The Scale of Things, but something tells me the Vienna-based sound artist wouldn’t have it any other way. Field recordings once again played an integral part in the sound design, with in this case Wonder Valley, Yangshuo, Fiskars, Palawan, Sandouping, and Overton providing reference points of audiophonic plunder, and modular synthesizers and electronic treatments of one kind or another also helped shape the album’s seven compositions into final form. But beyond that the material remains open to interpretation, with track titles such as “YSY” and “FSK” doing little to lessen the material’s abstract character. Not that the recording’s opacity is a bad thing; if anything, it makes the pieces on the thirty-eight-minute vinyl release (300 copies) all the more fascinating as well as endearing. To be clear, the material isn’t wholly abstract, as familiar sounds of twittering birds, wind, and water do emerge within the sound design. Yet Schwarz to a large degree counters that normalizing dimension by coupling it with electronic interventions that destabilize the recognizable elements by setting them adrift within the larger constructions. Each piece reveals itself moment by moment, its definition morphing repeatedly as elements are mangled, mutated, and elastically stretched. In one setting, real-world sounds and synthetic flutter collide, with the burble of water heard alongside brooding synthetic tones, metallic clatter, and writhing noises of some alien kind. Zones heretofore undiscovered are evoked allusively, the listener often feeling as if some jarring new natural territory teeming with never-before-encountered flora and fauna has been entered into. That strategy is never more evocatively pursued than during “PLP,” even if a brief episode arises midway through where the densely layered sound design collapses to leave high-pitched synthetic whirrs as the single element still standing. In the final analysis, your guess is as good as mine as to what it means. But expecting intelligible meaning will ultimately declare itself is approaching the project from the wrong direction, I suspect, as this is one of those recordings where abstract indeterminacy is part of the plan, Schwarz less concerned about whatever meanings the listener might glean from Double Negative and more focused on its content as pure sound sculpture. Perhaps it’s best to think of its seven pieces as equivalent to abstract imagery distilled into time-extended sonic form. This is the second album of architect, composer and sound artist based in Vienna, after „The Scale Of Things“ (Gruenrekorder, 2015). Schwarz has a master’s degree in Architecture and Arts and studied computer music. His sound installations have been exhibited in several festivals and museums in Europe. He works with several pseudonyms with which he has released albums released on Sonic Terrain, Laton, Kinderkreuzzug, Wildstyle, Mudblob, Free Music Archive and more recently on German Gruenrekorder label. ‘Double Negative’ contains field recordings taken from locations such as Wonder Valley (USA), Yangshuo (China), Fiskars (Finland), Palawan (Philippines), Sandouping (China) and Overton (United Kingdom). 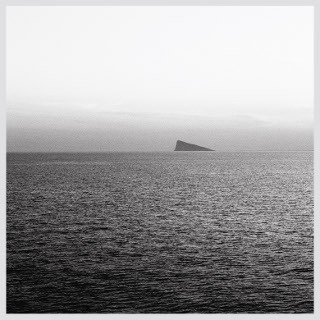 This album has a disturbing atmosphere and a soundscape based on overlapped field recordings – non processed and processed – along with modular synthesizers. 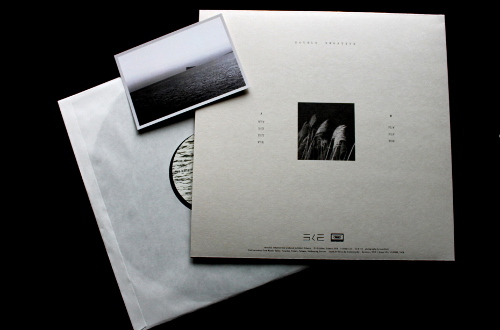 Schwarz builds a mysterious halo and surrounded by more darkness than ‘The Scale Of Things’; It is a soundtrack where natural elements such as chirping bird are blended with warped digital sounds. The shame born from the inability to prioritize deserving artists and organizations is overwhelming. Case in point, Gruenrekorder: the imprint run by Lasse-Marc Riek and Roland Etzin has been delivering consistently attractive records for many years now, but – strangely enough – these efforts seem to receive a mere fraction of the kudos they should be entitled to. This is the often lamented (and apparently unsolvable) problem of a congested music world where an acquainted ordinariness can overcome authentic transcendence at any given moment, and the poor reviewer’s time is wasted by junky outings submerging the genuinely collectible ones. Additional ignominy must be thrown as I confess that this is my very first contact with Robert Schwarz, a Viennese architect and composer gifted with an admirable CV. 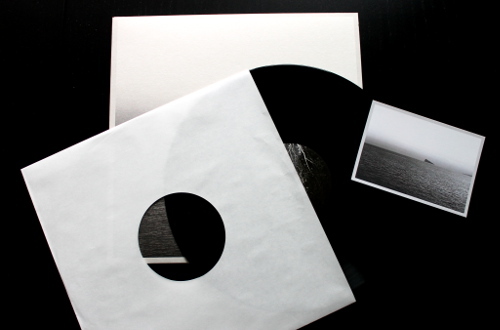 Double Negative – his second release on this label – incorporates seven tracks rotating around the field recordings/synthesis axis. It’s a typical instance of album capable of rapidly striking a powerful chord within a finely tuned individual. This is a beautiful amalgamation of divergent acoustic universes, deeply human even in its more unemotional characteristics, totally appealing in terms of aural anatomy, full of sibylline reverberations, confusing lights, subterranean activities, melted geometries. It leaves the mind free to digress through the sonic spectra while keeping a firm grip on the systemic prototypes demarcating each composition. One can identify a source and follow its route, its physics invariably subjected to a series of metamorphic processes. Alternatively, the entirety of a soundscape appears as a biotic continuity of primordial realities and studio-engendered fantasy. At times it just works wonders on an inner self pushed back to near-infancy stages: the aerials are up, the eyes wide open. Most important, there is quietness inside the listener. Schwarz managed to let us recognize his technical needlework as wholly natural, in spite of the occasional hallucination. He emerges as a wise inventor, altering our sensorial parameters without “special effects”. Peculiar proposals become unintended teachings from benevolent creatures; the channelling of crucial signals occurs across a cosmos whose laws are “known” only by an arrogant nescience. Twice before I have reviewed music by Robert Schwarz (Vital Weekly 982 and 1048) and twice I more or less wondered what it is that he does. I am pretty sure that this, the third time, doesn’t make much sense to me, or that I have some more knowledge, even when Gruenrekorder that “Field recordings render the core and compositional starting points around which modular synthesizers are built to complex structures that resemble nature’s contingency as their inner logic”, which is something that I could probably also gather from listening to this record. The field recordings were taped in “Wonder Valley, Yangshuo, Fiskars, Palawan, Sandouping and Overton”, which probably could lead to a fun hour on Google maps to see where these are located. So there is a bunch of field recordings on one side and a stack of modular electronics on the other side and then Schwarz sets himself to work with these. Seven compositions are to be found on ‘Double Negative’ and like before he creates some fine music with these elements. Sometimes it all blurs and one has no idea what is what here anymore. I guess one could easily call this musique concrete, but Schwarz’ pieces are shorter and more based on the idea of telling a short story within a limited time frame. These stories aren’t necessarily very positive ones, as somehow the record sounds all a bit spooky and dark, despite some chirping bird here and there. Sometimes one has no idea what is going on, sound wise, and it seems that field recordings are pretty much obscured. It sounded like the window scraper at times, or animals and I was reminded of the music of G*Park even when Schwarz uses more electronics in his work (at least that’s what I think). Through this is a very refined album, not necessarily ambient or noisy, but never too quiet, never too loud or alien. Spooky, sure it is that very much, but there is quite some beauty in these haunting pieces. Robert Schwarz shows love for his surroundings on the spacious field recordings of “Double Negative”. Throughout the album Robert Schwarz embarks on an increasingly disjointed journey. Within the field recording framing device Robert Schwarz incorporates industrial and even dollops of noise into the proceedings. By keeping everything loose Robert Schwarz gives his compositions room to roam. Over the course of the album a narrative of sorts emerges one that feels so visceral and beguiling. Easily the gentlest composition on the entire album, “01_WVW” introduces the album with a pastoral hue. From the metallic hit in the distance to the birds, the whole thing radiates with life. Slowly but surely Robert Schwartz begins to upend this calm. This leads to the hyperactivity of “02_YSX” where all seems about ready to burst at the seams. 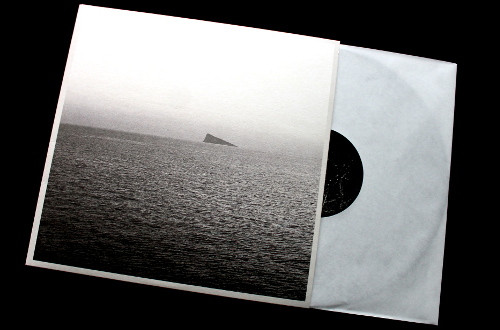 With the cavernous “03_YSY” Robert Schwarz lets sounds drift off into the sonic ether. By far the strangest piece in the mix is the constant in flux elastic sounds of “04_FSK” where nothing can quite keep focus, instead drifting off into the sky. Tension filled to the extreme “05_PLW” chooses a bizarre uncertain path, allowing for even elements of the real world to filter into the mix. Cartoonish in its temperament “06_PLP” darts by. Perfectly ending the album, the regal industrial drones of “07_TGR” feels oddly welcoming, almost angelic in hue. “Double Negative” shows off Robert Schwartz’s deft touch in presenting a world that feels so unreal yet is a mere tweak of what so often permeates such open shared spaces.